Gabriel Aubry and Anne Vyalitsyna looking awfully wistful in this ad for True Religion Jeans, but maybe that's because they are lamenting the approaching end of Summer. This cool fashion billboard was snapped along Sunset Boulevard at Crescent Heights Boulevard on August 5, 2011. 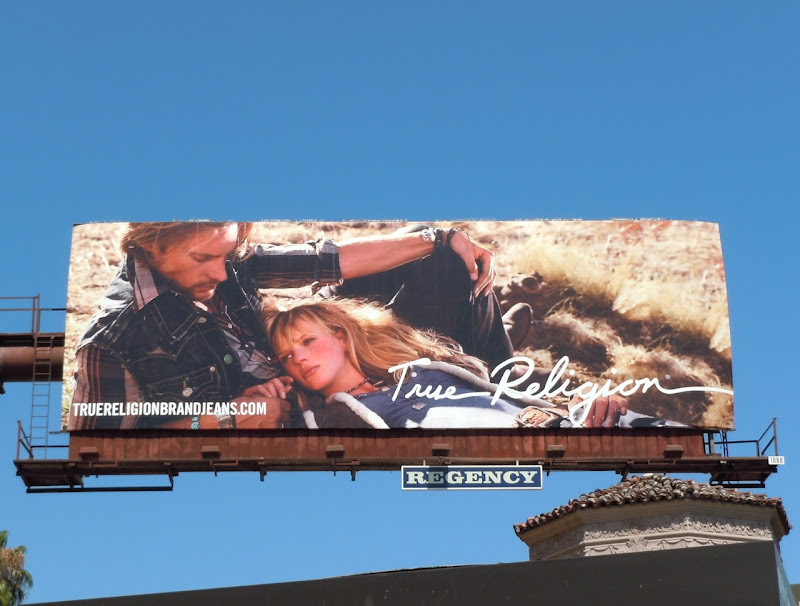 If you're a fan of the male model, be sure to also check out this shirtless Gabriel Aubry billboard for True Religion Jeans.